Check out these cat scratchers, trees, and perches and get up to 50% off today at Petco.com. Then, enter the code EXTRA15 at checkout and get an additional 15% off. For example, this 6-Level Cat Tree drops from $129.99 to $50.99 shipped. It’s 76″ tall and has steps and ramps for play. Shipping is free on orders over $49. Otherwise, shipping adds $4.99. Everything is 60% OFF at York Photo. Just use the code WINSALE at checkout to get your discount. Save on personalized photo mugs, calendars, clothing, bags, and much more! 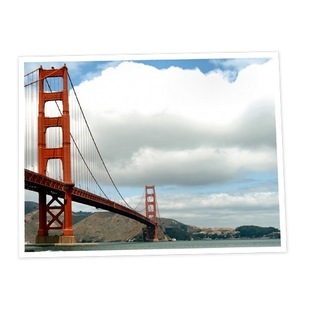 Save up to 74% on premium custom holiday photo cards on Groupon. Just sign into your account (or create an account for free) to get this deal. Choose from 40, 70 or 100 cards. Prices range from $17.99 to $37.99. Get a Custom photo mug or notebook from York Photo for just $1.99. Just use the code MATCHING to get your discount. Order your 5X7 Custom Softcover Book from York Photo for only $.99. These books are fantastic for holiday gifts, anniversaries, grandparents and more. Just make sure you use the coupon code FUNMEM at checkout to get your discount. Shipping is $3.99. Order your Custom Set of Four Photo Coasters for $4.99. Use the code DADCOASTER at checkout to receive your discount. Order your Custom Deck of Playing Cards for $3.99. Use the code DADDECK at checkout to receive your discount. Order your Custom Easel Panel for $2.99. Use the code EASDAD at checkout to receive your discount. Receive 70% OFF Graduation Cards from York Photo.